The Worthington Inn, just North of downtown Columbus on High Street, has been supporting local jazz for a number of years now and is one of the most consistent venues for catching some of the best local jazz talent in the city in a small intimate environment. 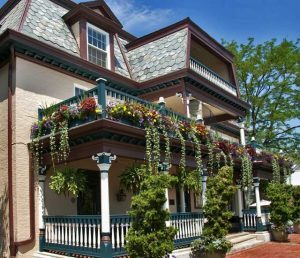 The historic Inn has been serving guests since for well over 150 years and continues to provide excellent food in addition to the weekly jazz performances. Every Friday and Saturday evening, the Worthington Inn features live jazz from 7-10pm in their dining area as a compliment to their food and spirits offerings. This is a great way to check out some great local jazz while eating some of the best food in the city. This weekend features an excellent lineup of musicians with the Dwight Lenox Trio on Friday evening and guitarist Tim Cummiskey and his trio on Saturday evening. 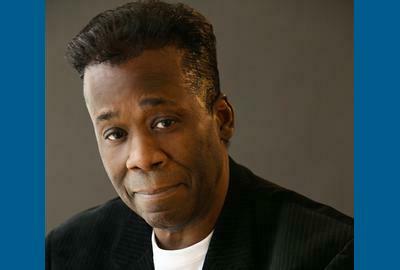 From blues to ballads and jazz to swing, Dwight Lenox shines. His impeccable instincts and mellow sound have garnered the attention of some of the finest musicians in the industry. He’s performed with Sammy Tucker and renowned organist Hank Marr. He’s been showcased alongside the likes of Freddie Hubbard, Bobbie Humphrys, Ramsey Lewis and Herbie Mann. And as featured vocalist with the 17-piece Columbus Jazz Orchestra, he’s shared the stage with Harold Jones and Carmen Bradford. Dwight’s fluid style lends itself to a vast repertoire from Nat King Cole, Frank Sinatra, James Ingram, Stevie Wonder, Lou Rawls and many more. But his raw abilities are uniquely evidenced in his performance of original music. He’s sung on numwerous recordings, including works for commercial and corporate use. He’s an accomplished studio session singer. And not surprisingly, Dwight is a talented songwriter himself. Check out Dwight and his trio this Friday evening at the Worthington Inn from 7-10pm in the dining room. Central Ohio guitarist Tim Cummiskey performs as both a leader and a sideman throughout the Midwest. Tim currently leads several groups ranging from solo jazz and classical guitar to group configurations including duos, The Tim Cummiskey Trio, and The Tim Cummiskey Quartet. After studying at the Berklee College of Music in Boston in the early 90’s, Tim received his Bachelor of Music Degree in Jazz Studies from Capital University 1994. In 1996, Tim received his Masters Degree in Guitar Performance from Bowling Green State University. Tim’s collegiate career was highlighted by numerous academic and performance awards as well as appearances as featured performer at numerous jazz festivals. Tim is also a contribution writer to Downbeat Magazine, Jazz Improv and Just Jazz Guitar Magazine. Tim is a MelBay Author. Tim Cummisky performs this Saturday July 7th starting at 7pm.